During The Bridge Team Building activity, roll up your sleeves and start building! The bridge (your organization’s structures and processes) must cross the gap between you and your customers. It must also support a weight (the fragile relationship between the customers and employees). The participants will become the building engineers who must communicate and plan together. This activity can also address the relationships between departments since each one will have its own objectives while working toward a common goal. 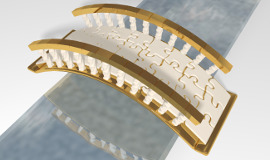 Bridge gaps and communicate your key messages to participants in a lasting way. The contribution of each member of the team is solicited to complete a team building. While working as a team, collaborating and communicating effectively, members build a structure that varies according to the concept.